Most of my classes are mix-gendered; the ratio is about 70% female, 30% male. Many of the males in my classes complain of being “dragged” to the classes by their female counterparts. Or the emotionally-neutral euphemism is used: “it’s a date”. 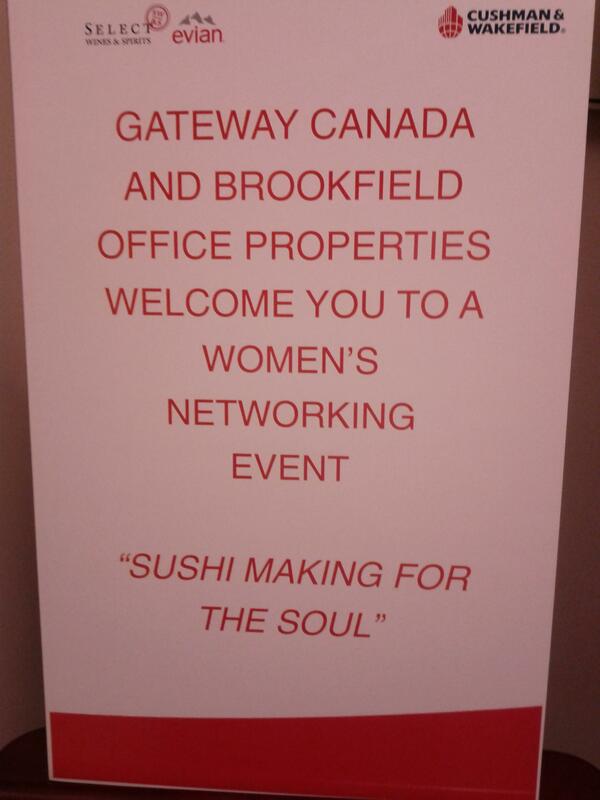 I have, however, held many sushi-making classes exclusively for women- from playful stagettes to the most serious causes around women’s issues (ie. comfort women). I enjoy these because they are always edifying and fun, with plenty of good-natured jokes coming at the expense of the males not in the room. 1. Women appear to enjoy making sushi more than the men. They are much more at ease around the rice and other ingredients. They are the first ones to break the ice with strangers, offer compliments, crack a joke- lowering the initial tension level at the table. I have many more photos of women smiling than men in my classes. 2. Women are process-driven. They recognize that every step in the sushi-making process is equal to every other. They are the ones to ask, “Am I doing this part right?” or “I should have folded it here and not there, huh?”. Men, on the other hand, are eager to just get the thing over with and show me the final product, “So, whaddya think?”. 3. Women take a lot more pictures. They spend a disproportionate amount of time finding the best angle to snap a photo. When the men are chomping down on the finished (and admittedly less photogenic) product, the women are sending Instagrams of their creations onto their Twitter, Tumblr, Facebook pages. 4. Women make it an event. They dress up (many of them don high heels), bring fancier wines with them, want the volume of the music turned up when the room gets going. It’s a night out; they are going to truly enjoy themselves. Men dress up too, but it is usually because they would look a bit foolish beside their partners if they didn’t. As for the only examples of sweatpants and tops I have seen worn at my classes: all three of them were men. 5. Women network effectively. At the end of every class, it is inevitable. The women are engaged in animated conversation in the middle of the room, exchanging business cards and cell numbers, while the men hover around the perimeter, waiting. The women are the ones who send me ‘thank you’ emails and request virtual connections with others who were in the same class. 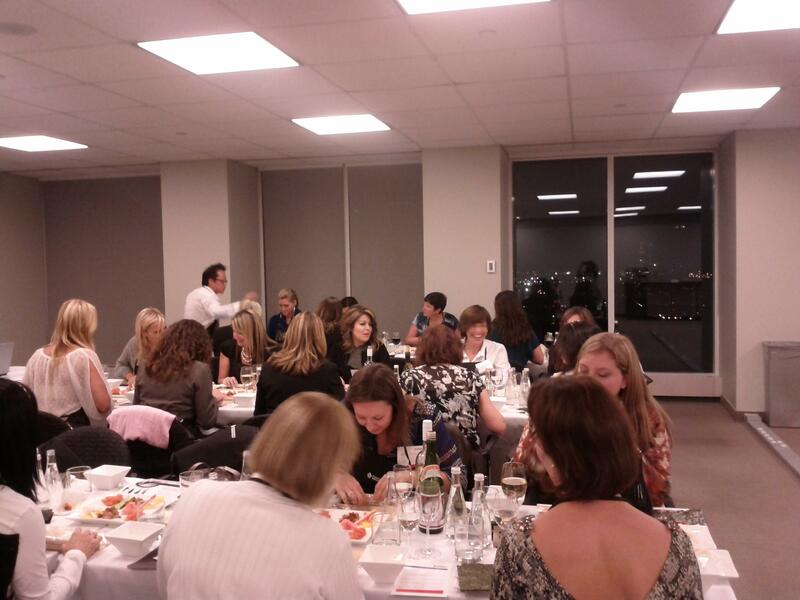 Recently, I had a women-only class at the BCE Place in Toronto’s business district. It was a networking event, organized by the real estate giant, Cushman & Wakefield, and generously sponsored by Evian and Select Wines. Thirty of the most talented business people I had ever met gathered in an office space on the 15th floor, overlooking the city skyline. These women embodied all five of traits above to a tee. A fabulous night was had by all, followed by many thoughtful “thank you” emails.